• Melchior of Arabia, lavishing gold for regality. 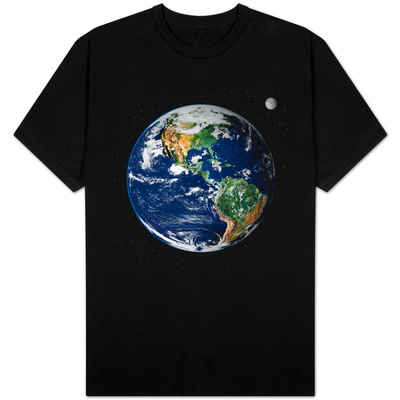 They inspire communal, familial, and religious celebrations which include gift-giving. It is to the Three Wise Men that gift requests are directed in “Federico and the Magi’s Gift." Trees are trimmed with gold and silver ornaments and with real candles (velas). All household members additionally need to be asleep or the Three Wise Men accompanied by angels and riding camels will not stop in Federico and the Magi’s Gift. Although camels (Camelus) are Old World natives, thanks to Magi mode of transportation, children in the New World are familiar with the humped ungulates. Micifus the cat chasing luciérnagas (fireflies). Magi with lots of toys (including his toy horse). Federico runs back inside to bed and falls asleep, like everyone else. Ilonka Karasz (1891 – 1981) in New York. Alfred A. Knopf, as publisher. Grades 1 – 3 and onward. The Eve of the Epiphany, or the Feast of the Three Kings, means the Three Wise Men, or Magi, will ride through the night sky to deliver gifts to children. Four-year-old Federico has misbehaved, and now he is afraid the Magi won’t leave him any presents. Beatriz Vidal, author-illustrator of "Federico and the Magi's Gift," derives inspiration from one of her teachers, Ilonka Karasz. “Beatriz Vidal Biography.” Beatriz Vidal.com. Retrieved December 10, 2014. Callahan, Ashley. 2003. Enchanting Modern: Ilonka Karasz. Athens, GA: (University of) Georgia Museum of Art. 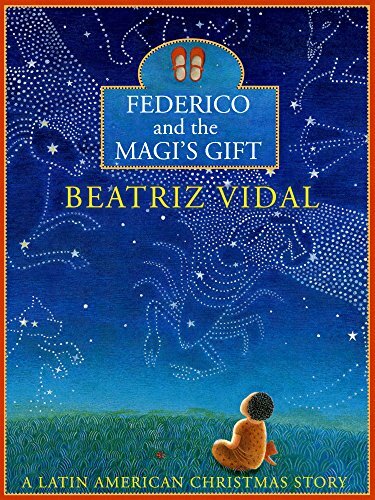 “Federico and the Magi’s Gift: A Latin American Christmas Story by Beatriz Vidal.” Starwalk Kids.com. Great Neck, NY: StarWalk Kids Media, Seymour Science LLC. Retrieved December 10, 2014. “Ilonka Karasz.” All Posters.com: Art > Artists > Artists by Name > K. Los Angeles, California. Retrieved December 10, 2014. “Ilonka Karasz.” Art.com Inc.: Gallery > Short > Artists. Retrieved December 10, 2014. “Ilonka Karasz Biography.” The Annex Galleries: Artists > Biographies. Santa Rosa, California. Retrieved December 10, 2014. 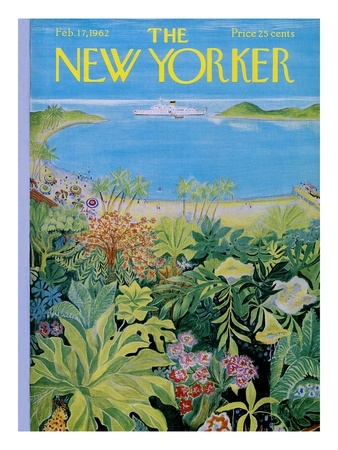 “The Ilonka Karasz New Yorker Covers.” Condé Nast Store.com: Magazines > The New Yorker > New Yorker Covers > New Yorker Covers Artists. Retrieved December 10, 2014. “Lamelle (designed ca. 1934 by Ilonka Karasz).” The Metropolitan Museum of Art: Collection > The Collection Online > Search the Collection. Retrieved December 10, 2014. Maxwell, William. 1946. The Heavenly Tenants. Pictures by Ilonka Karasz. New York, NY; and London, England: Harper & Brothers. McGinley, Phyllis. 1958. Merry Christmas, Happy New Year. Decorations by Ilonka Karasz. New York, NY: Viking Press. “Mr. Nyland.” Nyland Group.org: Presidio Gurdjieff Group, Tucson > Pages > More about Nyland. Tucson, Arizona. Retrieved December 10, 2014. Wood, Clement. 1929. The Outline of Man’s Knowledge: The Story of History, Science, Literature, Art, Religion, Philosophy. Decorations by Louis Bromberg. Maps by Ilonka Karasz. New York, NY: Lewis Copeland Company. Vidal, Beatriz. 2004. Federico and the Magi's Gift: A Latin American Christmas Story. New York, NY: Alfred A. Knopf Borzoi Book. Possibly long before ever seeing their first camels, New World children are familiar with camels, Old World natives, from beloved stories of Jesus' birth and his visitation by the Three Wise Men.